AT&T is connecting 1.5 million vehicles per quarter onto its network as telematics continues to lead the operator’s IoT charge, executive Chris Penrose (pictured) told Mobile World Live. In a wide-ranging interview at MWC Shanghai, the president of AT&T’s IoT unit said consumers and businesses alike were embracing connected car technology, adding the sector: “continues to have incredibly fast adoption”. “Automobile manufacturers have really seen the value of having connectivity for their purposes – being able to update…and make that car better,” he noted. Other sectors identified by Penrose as “hot” currently, include asset tracking, fleet management and smart city deployments. He added the healthcare industry was an emerging one he had confidence in, despite regulation challenges. With so many diverse use cases falling under the IoT banner, Penrose said AT&T’s decision to deploy both LTE-M and NB-IoT networks allows it to host technologies with a range of connectivity requirements all using licensed spectrum. This entry was posted in Connected Cars and tagged AT&T, Chris Penrose, Connected Cars, LTE-M, Mobile World Live, NB-IoT on July 10, 2018 by Tim Cosgrove. Cars of the future could be programmed to spot potholes on motorways and automatically transmit the information to Highways England to schedule repairs. In a vision of the future outlined today the government company said an intelligent network coupled with connected vehicles would improve how efficiently roads are maintained and at the same time improve safety. In another development drones could also be used to fly overhead and report back on incidents, improving response times. In its Strategic Road Network Initial Report, published today (13 December 2017), the company says technology will play an increasingly major role in keeping people moving, and the country connected. It also stresses the importance of keeping existing roads properly maintained, and that it does so in a way which minimises disruption to road users and local communities. The report will be used to inform the government’s next road investment strategy which begins in 2020. We are delivering a record £15 billion of government investment to give people safe, efficient and reliable journeys, and provide businesses with the links they need to prosper and grow. Because people’s journeys are important to us we are setting out our high level aspirations which will help ensure the network continues to drive economic growth, jobs and prosperity, and keeps traffic moving today, and into the future. We encourage people to read our report and feedback through the Department for Transport’s consultation, which is also launched today. Since it was created in 2015, Highways England has completed 18 major road improvements and has a further 15 currently in construction. This government is making people’s journeys better, faster and safer to give people better access to jobs, schools and their community. We are planning to spend more than ever before to upgrade England’s motorways and major A roads from 2020 through to 2025. The Department for Transport has also today launched its consultation into Highways England’s Initial Report. Their consultation will run until Wednesday, 7 February 2018. The results of it will be used by the department to help develop the next Road Investment Strategy which the government is expected to publish in 2019. It is then that detail on specific road projects will be outlined. This entry was posted in Connected Cars and tagged Chris Grayling, Connected Vehicles, Highways England, Jim O'Sullivan, Smart Motorways, smart roads on December 13, 2017 by Tim Cosgrove. BMW Connected further expands its digital ecosystem. BMW Connected ensures customers’ cars can be fully connected with an ever-increasingly number of digital touchpoints. And now with the Google Assistant, customers can enable easy and convenient operation of vehicle functions – from their customer’s home with voice-activated speakers like Google Home or while on the move via eligible Android phones and iPhones. Integration with the Google Assistant adds further breadth to BMW Connected’s digital network, which now features additional voice-controlled and interaction assistants to sit alongside the Apple Watch, Android smartwatches and Amazon Alexa. All of which takes the integration of BMW Connected into the customer’s digital lifestyle to another new level. The power of words: quick inquiries, fast control. BMW Connected presents customers with an array of possibilities when it comes to managing appointments and contacts, route planning and vehicle functions based on their personal mobility agenda. To this end, the vehicle is linked (via the Open Mobility Cloud) to the digital devices selected by the user. Customers can now also enjoy the services of their BMW seamlessly integrated into their daily lives via BMW Connected at all times and extremely conveniently from their home. And here the Google Assistant provides another new option. Using voice commands, the customer can check whether the windows and doors of their BMW are closed and how much charge a BMW i3 has remaining, plus ask for information about imminent appointments and required departure times depending on the traffic situation. These inquiries can also be made via the Google Assistant on voice-activated speakers like Google Home as well as eligible Android phones and iPhones. To activate BMW Connected, all users need to say is “Ok Google, ask BMW…”. They can then follow up with individual questions by voice command, e.g. “When is my next appointment?”, “Send the address to my vehicle”, “When should I leave?”, “What is my remaining range?” or “Is my vehicle locked?”. These functions allow users to optimise personal mobility planning at an early stage and enable comfortable and stress-free arrival at their destination. BMW Connected will be integrated with the Google Assistant starting in December 2017 (in the USA at launch; other countries will follow). The BMW Group is committed to building the mobility of the future through its NUMBER ONE > NEXT strategy and is investing extensively in the technologies of tomorrow. As the leading provider of premium mobility, the company is focusing squarely on the needs and wishes of its customers and continues to play an instrumental role in driving forward ACES (Autonomous, Connected, Electrified and Services/Shared) developments. This entry was posted in Connected Cars and tagged ACES, Autonomous connected, BMW Connected, BMW i3, Google assistant on November 8, 2017 by Tim Cosgrove. Panasonic Corporation announced today that it has developed automotive intrusion detection and prevention systems as a cyber security countermeasure for autonomous and connected cars. Connected cars are connected to the Internet, so like current IT systems, they have a possibility of receiving cyber attacks from around the world. By using Panasonic’s newly developed systems, they are possible to detect cyber attacks in real-time while simultaneously preventing them. Automobiles have a long product lifecycle, so there is a possibility that they are exposed to attacks that have been evolved compared from attacks that were assumed at the time of factory shipment. By using these systems, they are possible to collect information of the evolved attacks on the cloud side and detect the evolved attacks by distributing and updating the new rules of the countermeasures to the vehicles. Panasonic’s newly developed systems will ensure safe driving with autonomous and connected cars by detecting the intrusion of attacks and viruses to the vehicle system due to cyber-attacks and discarding and disabling them using the prevention system. They will make it easier to comply with future in-vehicle security legislations. The features of the new systems are as follows. Detects intrusions of attacks from the Internet at an early stage, and additionally detects intrusions to the in-vehicle network as a second step. In addition to the widely used CAN *1, the systems are also compatible with Ethernet*2, which is expected to spread in the future as an in-vehicle network, and enables comprehensive detections of intrusions to the entire vehicle. By collecting information from multiple vehicles on the cloud, the systems can detect attacks before they are identified as a true security incident. The system consists of a vehicle-installed “monitoring module” and a “monitoring cloud” that is linked to the monitoring module. The vehicle-installed monitoring module monitors the entire vehicle based on the monitoring rules. By using the company’s newly developed systems, once the attacks that cannot be detected with existing monitoring modules are discovered, the systems can prevent new attacks by updating the monitoring rules from the monitoring cloud. Therefore, it helps to maintain safety even after the vehicle is released on the market. Also, by grasping signs of attacks before they are identified as true security incidents, they are possible to implement countermeasures in advance so that they can minimize the effects of the attacks. 1. In-vehicle device-type host intrusion detection technology: This technology detects intrusions from the Internet, which is an early stage of the attacks, and can be installed and used with Internet connected devices (IVI/TCU*3) In addition to clearly identifying the attacks from the obtainable logs from an OS like Linux and other various security functions, the system can also detect the attacks by combining multiple behavioral information. 2. In-vehicle device-type CAN intrusion detection technology: This technology detects intrusions to CAN communication systems, which is a second stage of the attacks, and can be installed and used with CAN connected devices (ECU) There are two types of CAN monitoring usages, which consist of (1) CAN filter that filter unauthorized CAN commands received by the installed ECU, and (2) CAN monitoring that detects unauthorized commands by monitoring all CAN bus systems that are connected by the installed ECU. Unauthorized commands are judged by taking into consideration various conditions of the vehicle, so it is possible to reduce the number of false positive under specific conditions. Detection of unauthorized commands can be made for each single command, resulting is real-time prevention after detection. 3. In-vehicle device-type Ethernet intrusion detection technology: This technology detects intrusions to Ethernet communication systems, which is a second stage of the attacks, and can be installed and used with Ethernet connected devices (ECU) There is an Ether filter that filters unauthorized Ether frames that are received or intercepted by the installed ECU (Ethernet Switch ECU, etc.) The system consists of the overlook method, which can lightly determine unauthorized commands by analyzing the frame headers and a detailed method, which has a high-load operation, but can accurately determine unauthorized commands. Flexible detection is possible by combining these methods. 4. Cloud-type vehicle intrusion detection technology: This system analyzes a large amount of logs collected from in-vehicle devices of multiple vehicles through machine learning and can be used by placing it in the cloud. As for the usage, in-vehicle network model that has conducted prior learning, will automatically narrow down the logs that may become potential security risks. After that, the attack analysts will analyze only the selected logs. By linking with various in-vehicle device-type intrusion detection technologies, it is possible to grasp signs of attacks before they are identified as true security incidents. CAN is a high noise-resistant serial communication protocol that was developed for vehicles, and current vehicles use in-vehicle networks via CAN communication to communicate between the vehicle ECU. Using Ethernet to communicate between the ECU and electrical components within the vehicles based on the network standard used in offices and households is expected the increase the speed and capacity of data transmissions. It also enables data exchange with an IP base, making links to external network (cloud) even easier. This entry was posted in Connected Cars and tagged Automotive Intrusion Detection, Connected Car, Panasonic on October 12, 2017 by Tim Cosgrove. Hyundai Motor Group has opened a big data center in China’s southwestern province of Guizhou to facilitate the development of its connected car service platform in the world’s largest automobile market. Korea’s top carmaker said Tuesday the facility will help it process massive amounts of customer data to provide safer and more efficient connected car services to Chinese motorists. It also strives to lead other digital transformation in the automobile industry. The company also signed an agreement with China Unicom to develop and commercialize a big data analysis model to enhance its competitive edge in the rapidly-growing field. China Unicom is the second-largest wireless carrier of the world’s most populous country. Hyundai has already established extensive digital infrastructure in Korea, such as Hyundai car cloud and a connected car operating system, to produce safer and more efficiently operating vehicles. On Tuesday, the firm held an opening ceremony for the big data center, 11 months after it broke ground. It is located in Guizhou’s big data industrial district, which is also home to Apple, Alibaba, IBM and other global IT giants that operate a data processing center there. Hyundai said it is the first multinational carmaker to open a big data center, which will help it hone its IT technologies and raise its brand value. “We will do everything we can to successfully operate the center and set an example for other automakers,” Hyundai Motor Vice President Hwang Seung-ho said. The center will collect and systemize various data, including motorist behavior and road conditions, and then analyze it to offer more customized and convenient connected car services to each motorist. Hyundai also plans to use the facility to collect and accumulate other types of data from social networking service platforms and other sources. It will then process data to more accurately predict market trends and consumer preferences, and introduce vehicles and customer service accordingly. This entry was posted in Connected Cars and tagged China Unicom, Cisco, Connected Cars, hyundai on September 28, 2017 by Tim Cosgrove. Automated driving and mobility solutions such as car-sharing and fleet services call for innovative vehicle access systems, as conventional vehicle keys will cease to be adequate for the mobility concepts of the future. That is why Continental has expanded its Smart Access solution for convenient vehicle access via smartphone to offer drivers a complete package of services. With the technology company’s new emergency unlocking solution, users can gain access to their vehicle even if the car battery is flat – and can do so completely digitally, without having to resort to the mechanical emergency key. In combination with the Continental Smart Access system, the entire door is intelligent, which means that it opens and closes independently. “The intelligent door is a milestone in access technology, as for the first time, we can offer users an all-round package for hands-free and digital operation, from unlocking the car and opening the door to starting the engine. With it, we are enabling an even more convenient and secure driving experience for drivers and offering more design freedom to manufacturers,” explains Andreas Wolf, head of Continental’s Body & Security business unit. Until now when a car battery ran out drivers had to fall back on the mechanical emergency key and a manual door lock to get into their vehicles and open the hood. The emergency unlocking technology from Continental will render this unnecessary in the future. It does so by using buffered energy from the door control unit, which is sufficient to allow the door to be unlocked once more. This automatic emergency unlocking system is activated by means of NFC technology, such as via a smartphone, which transmits the signal following a successful security check and automatically triggers the unlocking process for the door. This means more convenience for users, as they no longer need a mechanical key, even for emergencies. It also opens up more design freedom for carmakers, as they no longer have to develop a conventional key with a blade and can dispense entirely with the emergency lock in the door. In combination with the automatic door opener, even the entire door handle will become obsolete, which offers more options for the exterior design, whilst simultaneously improving the vehicle’s aerodynamic resistance. Ensuring that not only the emergency lock but also the entire door handle is surplus to requirements, Continental has integrated an assistant function into the intelligent door. “Electronically controlled doors enable convenient, hands-free operation. Our security and control algorithms make sure that you can open and close the vehicle door securely and easily,” explains Wolf. Smart Access enables convenient vehicle access via a smartphone. The system centers on the virtual key, which is saved to a mobile end device. This key, which consists of a tamper-proof data record, gains access only after successful one-time authentication by the back end, which sends it to the smartphone via a wireless interface. Further communication takes place exclusively between the smartphone and the vehicle. For this purpose, the system uses multiple Bluetooth Low Energy (BLE) or NFC transceiver modules, located in the vehicle, to enable the authorized smartphone to be located both from inside and from outside. As soon as an authorized virtual key is detected, the system issues permission to open the vehicle and start the engine. Therefore, there is no longer any need for a mechanical key. Continental will present the intelligent door at the International Motor Show Germany (IAA) in Frankfurt am Main (Hall 5.1, Stand A07/A08) in September. This entry was posted in Connected Cars and tagged BLE, Bluetooth Low Energy, Connected Cars, Continental, Continental Smart Access, Frankfurt Motor Show, IAA, NFC on August 31, 2017 by Tim Cosgrove. The car industry in Europe “is not as happy as they should be” warned Nokia’s head of car V2X Uwe Puetzschler (pictured), as he emphasised the need for better networks to advance the connected automobile segment. Puetzschler, speaking to Mobile World Live at Mobile World Congress Shanghai, said one of the biggest barriers to developing connected cars was differences in connectivity around the world, with “Japan and Korea having access to very good coverage of networks”. Conversely, in other regions including Europe, Puetzschler suggested the car industry wasn’t able to advance as they may want to “because the network coverage is a challenge, and they need full coverage to give the right experience to their customers”. Improving network coverage to develop connected and automated driving is one of two of Nokia’s priorities for the segment. He said there were some requirements “today’s networks cannot currently meet to the extent the car industry would like to see, and that’s why we are working to improve it”. The second direction Nokia is pursuing is to “provide a common platform to manage the cars and to manage the applications which are associated with the use of cars, fleets, etc”. 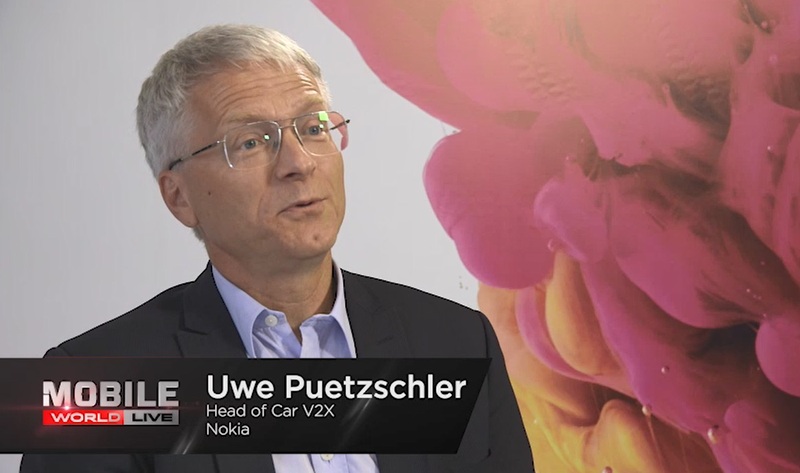 In the interview, Puetzschler also spoke about his thoughts on the operator opportunity arising from the connected car, and how he believes automated driving could lead to more traffic on mobile networks. Click here to hear his thoughts. This entry was posted in Connected Cars and tagged Connected Car, Mobile World Live Congress Shanghai, nokia, Uwe Puetzschler, V2X on July 12, 2017 by Tim Cosgrove. London, June 13, 2017 – Telit, a global enabler of the Internet of Things (IoT), today announced that the LE920A4-NA LTE Cat 4 module has received AT&T* certification for use on the carrier’s North American LTE wireless networks. The smart module delivers voice-over-LTE (VoLTE) and 150 Mbps Cat 4 automotive-grade performance. With advanced security features, the LE920A4 delivers OEMs and tier one automotive system integrators, flexibility to meet requirements of vehicle roadmaps for secure, high-speed mobile data with support for next gen applications such as advanced diagnostics, infotainment and remote software updates. Telit technology in the LE920A4 powers the entire connected car platform with a design that supports current connectivity needs with the flexibility to integrate value-add and other telematics services down the road as wireless communications continue to evolve. Complex in-vehicle applications are inside a secure processing environment with a built-in application processor, storage and memory. This flexible development environment allows customer application programs to run entirely and securely on the module itself using advanced anti-hacking capabilities. 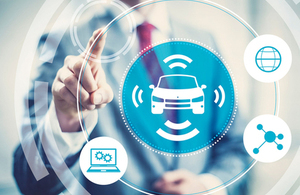 Global coverage: Series to include three multi-band, multi-mode, variants with integrated world-covering GNSS functionality, optimized for automobile manufacturers to deploy connected car solutions for the top automotive markets. Advanced security addresses industry demands: Features include secure boot, secure storage, unique identifiers, random number generation and cryptographic algorithms. Multi-radio access technology for exceptional coverage: LTE high-speed data secured with 3G/2G fallback delivers widest possible combination of voice and data connection technologies always-on communications, particularly in life-critical situations. Safety-first: Supports regulatory and safety standards, and is VoLTE-ready (voice over LTE) with circuit-switch fallback (CSFB) to 3G or 2G aligned with regional requirements. Design-once and select the module with the exact feature set for each market and vehicle line: The LE920A4 34×40 mm LGA form factor nests with the new LE940B6 Telit xE940 automotive module family, offering the OEM or tier one integrator, superior flexibility to address economic, feature and regional requirements with a single device design. Automotive-grade: Ruggedized, mechanically robust package with excellent thermal characteristics for effective heat dissipation. With an operating temperature range of -40°C to +85°C, it is suitable for demanding applications and environments. Telit designs and manufactures automotive modules per ISO TS16949 processes to ensure quality and compliance with automotive OEM and tier-one supply chains requiring this certification. Learn more about the LE920A4 series as well as the LE940B6-NA 300Mbps Cat 6 AT&T certified automotive module also ready for immediate application in North America. *AT&T certification only relates to the technical compatibility of the device for use on the AT&T wireless network. This entry was posted in Connected Cars and tagged 4G LTE, Connected Car, LE20A4, LE940B6, LTE advanced, Telit, Telit xE940 on June 14, 2017 by Tim Cosgrove. Early results from a new study commissioned by FIA Region I states that most car data can be linked to a user and, therefore, should be treated as personal data. The study examined how existing and upcoming EU legislation on data protection and liability could apply to vehicle data. It clearly dismisses the attempts to categorise data according to its technical or non-technical nature, as currently proposed by vehicle manufacturers. Data does not automatically lose relevance in terms of privacy because of its technical nature. For instance, technical information regarding a low oil gauge of a specific vehicle is linked to an identifiable customer, it directly relates to this person. The General Data Protection Regulation, expected to enter into force from May 2018, introduces the concept of data portability, intended to allow users to transfer their personal data to a third party upon request. This provision was drafted to ensure competition. However, data protection legislation alone may not be sufficient to ensure competition as there remain concerns over the latency and quality of the data to be provided. he study also explores whether liability obligations grant a right to access data to manufacturers. Neither the product liability Directive nor the produce safety Directive oblige manufacturers to permanently monitor data once the vehicles are on the road. If such processing of data was needed, it must be based on consumer consent. Data should also be equally shared with component manufacturers. The initial findings from the study were presented as part of a European Commission workshop on access to data. The study was carried out by the legal consultancy Osborne Clarke in 2017. The full study will be published in the coming weeks. This entry was posted in Connected Cars and tagged Connected Cars, FIA, telematics on June 12, 2017 by Tim Cosgrove. VNC Automotive, the global provider of VNC® remote access technology and premier MirrorLink supplier are pleased to announce their collaboration with Noser Engineering, a leading software supplier in the technical computer science industry. Noser Engineering have collaborated with VNC Automotive to produce a new concept that will revolutionize the existing in-car connectivity market. This exciting project sees Noser developing a screen-less embedded module for installation into vehicles that integrates the RealVNC MirrorLink server and can be connected to certified MirrorLink enabled head units. The result is a highly flexible solution for vehicle manufactures and fleet operators that will support a range of their dedicated console apps and simplifies geographical customisation. “We are delighted to collaborate with Noser Engineering on this exciting project which will deliver a new concept using MirrorLink as a safe and flexible open standard, enabling automotive OEM’s and fleet operators to deploy applications to their vehicles” said Tom Blackie, Vice President of Automotive at RealVNC. “We look forward to a very long and successful working relationship with Noser Engineering”. RealVNC software is technology agnostic and readily embraces complementary standards such as Apple CarPlay™, Android Auto and Baidu’s CarLife. VNC Automotive includes VNC Telematics™, VNC Enhanced™ and the RealVNC MirrorLink Certified solution that pairs the driver’s car with their mobile device, enabling mobile devices to perform a number of different functions within the car. In an industry where driver safety is of the utmost importance, VNC Automotive technology allows the mobile device to be controlled from the car dashboard, vehicle bezel keys, or steering wheel switches without distracting the driver. VNC Automotive is a division of RealVNC, the global provider of VNC® remote access technology. RealVNC’s software is used by hundreds of millions of people worldwide; in over 1 billion devices; in every sector of industry, government and education. RealVNC is a Charter member of the Car Connectivity Consortium supporting the MirrorLink® specification, which uses VNC. VNC Automotive underpins many of the commercial MirrorLink Certified™ products and has been available in production with automotive OEMs, Tier 1 suppliers and phone vendors for several years. It is already in millions of vehicles available from many of the major automotive OEMs. Founded by the original inventors of VNC, RealVNC is the only organization able to offer a commercial license to embed VNC in third-party products and offerings. www.realvnc.com RealVNC®, VNC® and RFB® are trademarks of RealVNC Limited and are protected by trademark registrations and/or pending trademark applications in the European Union, United States of America and other jurisdictions. MirrorLink Certified™, MirrorLink® and the MirrorLink® Logo are certification marks and trademarks of the Car Connectivity Consortium LLC. Unauthorized use is strictly prohibited. This entry was posted in Connected Cars and tagged Connected Cars, infotainment, Mirrorlink, Noser Engineering, VNC Automotive on May 16, 2017 by Tim Cosgrove.